The IDPass™ is a full-page passport and ID reader with the built-in best performing OCR algorithm to extract necessary information from the entire data page which makes the device ideal for high volume applications where speed and efficiency is critical. The IDPass™ reader also support auto-sensing trigger that can be easily operated with a rapid image capture of less than one second with confidence. 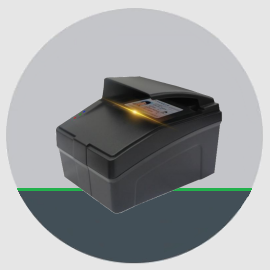 Ideally capture internal data with passports, e-Passports, visas and other travel documents, the IDPass™ reader will be your logical choice of many applications. Contact us for more information. The IDPass-M™ is an integrated module with the built-in best performing OCR algorithm to extract necessary information from the entire data page which makes the device ideal for high volume applications where speed and efficiency is critical. The IDPass-M™ also support auto-sensing trigger that can be easily operated with a rapid image capture of less than one second with confidence. Ideally capture internal data with passports, e-Passports, visas and other travel documents, the IDPass-M™ will be your logical choice of kiosk integration. Contact us for more information.